DiabetOmics, an early-stage medical diagnostics company is pioneering a patented non-invasive, saliva based glucose monitoring test for diabetes patients. It is also developing an early detection test for gestational diabetes (in pregnant women) and pre-eclampsia (high blood pressure in pregnant women). Lack of patient compliance with regular glucose monitoring is the primary cause of diabetes-related complications. Diabetomics’ portable, easy-to-use device helps patients and their physicians stay informed of the status of the disease without painful finger-pricks. 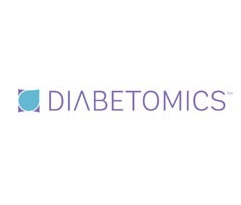 Ventureast led a Series C investment round in Diabetomics in 2015. The investment will be used to advance product development, obtain regulatory approvals in EU, USA and in emerging markets, set up manufacturing facility in India and begin commercialization. The Company plans to obtain CE Mark in the next one year. It has secured investment and global licensing deal for one of Diabetomics’ maternal health products with one of the large Medtech player based in the US.